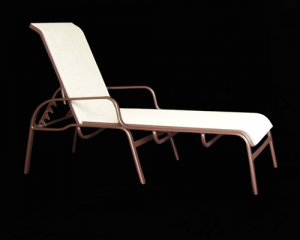 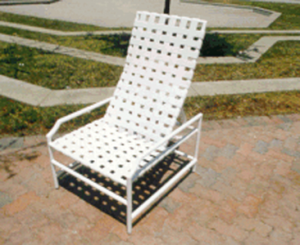 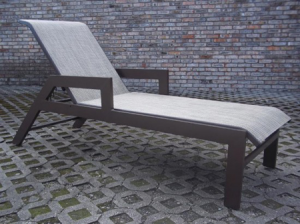 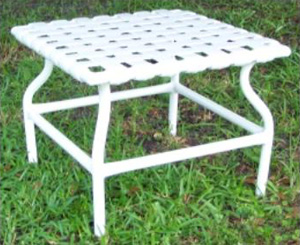 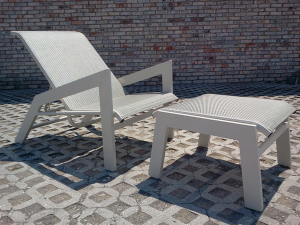 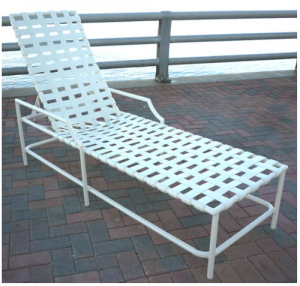 All of our aluminum chaise lounges are powder coated after they have been sand blasted, giving them a finish similar in durability as the finish on your car. 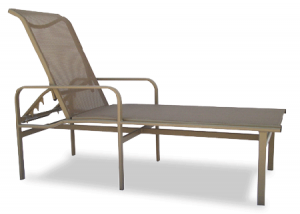 If you lack the room needed for a Chaise Lounge we also offer a Recliner with Ottoman. 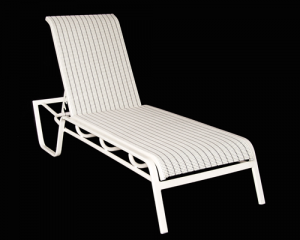 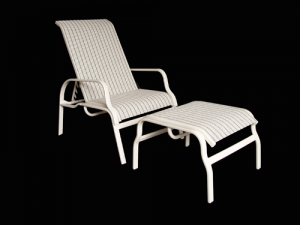 We find these perfect for condo owners who want the comfort of the Chaise Lounge in a smaller space.